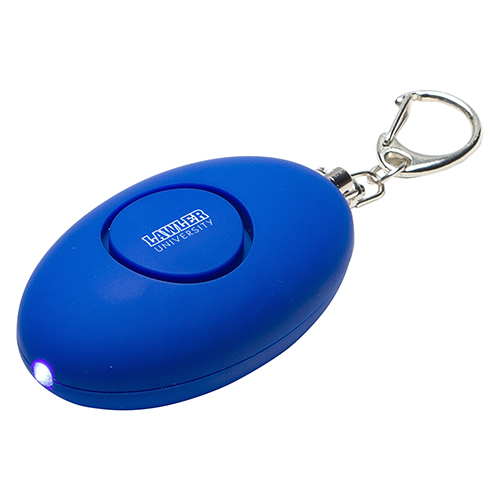 Flashlight keychains have made it easy for people to carry their keys without fail and to have a flashlight wherever they go. It has become indispensable objects in our everyday lives. 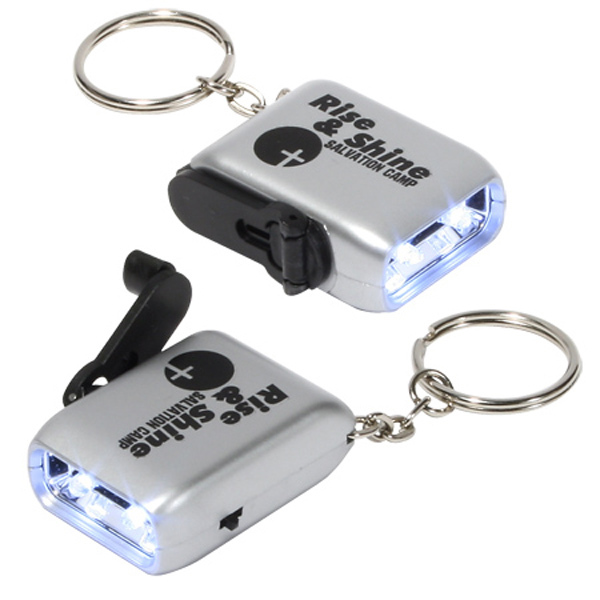 Be it at homes, office, camping sites or more, these flashlight keychains have become one of the most widely used logo items. 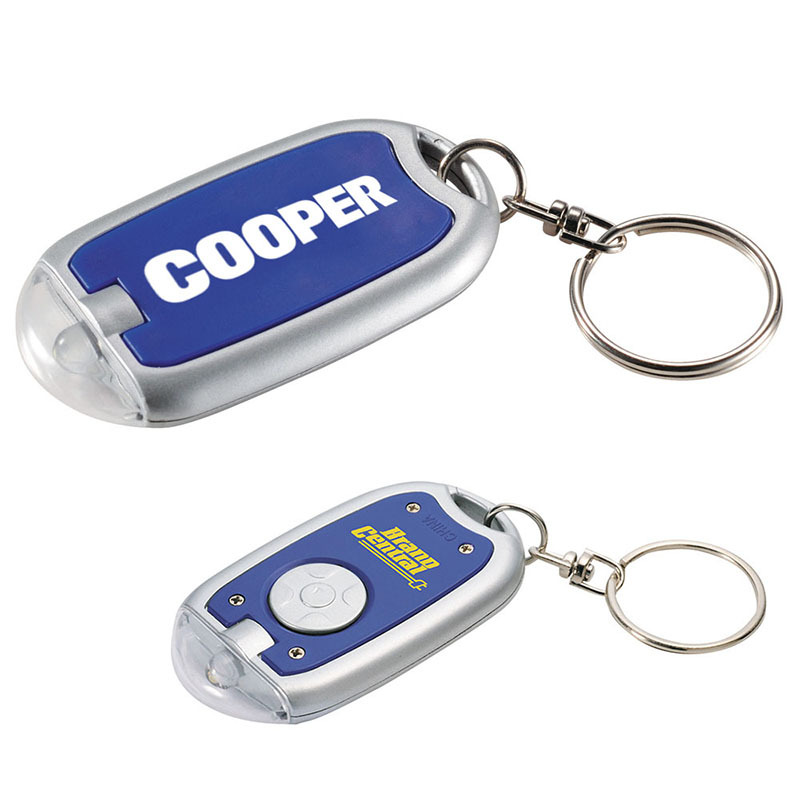 These LED keychains are brighter, longer lasting and offered in a range of models and price points. 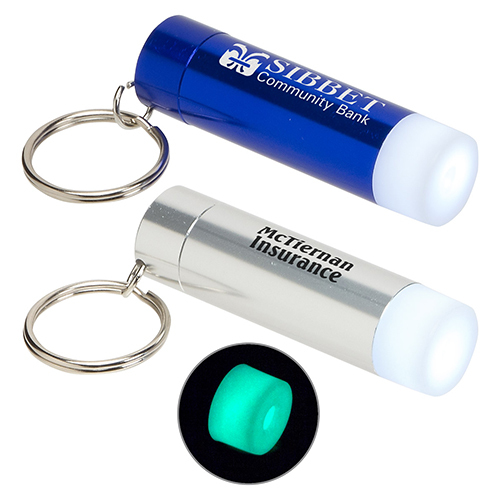 Customize these with your brand and message and every time your recipients use it as a keychain or a flashlight, they will be reminded of your brand and message. 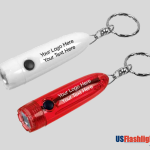 Keychain flashlights have a curious design that will draw easy attention from anyone who sees it, which means your message will reach people beyond the targeted audience. Light weight and easy to distribute, these make excellent tradeshow handouts and mailer gifts while the low cost advantage will make it ideal for fund raising events as well. Reports show that highly functional gifts like flashlights that get used on a daily basis will have a crucial role in driving the brand popularity. 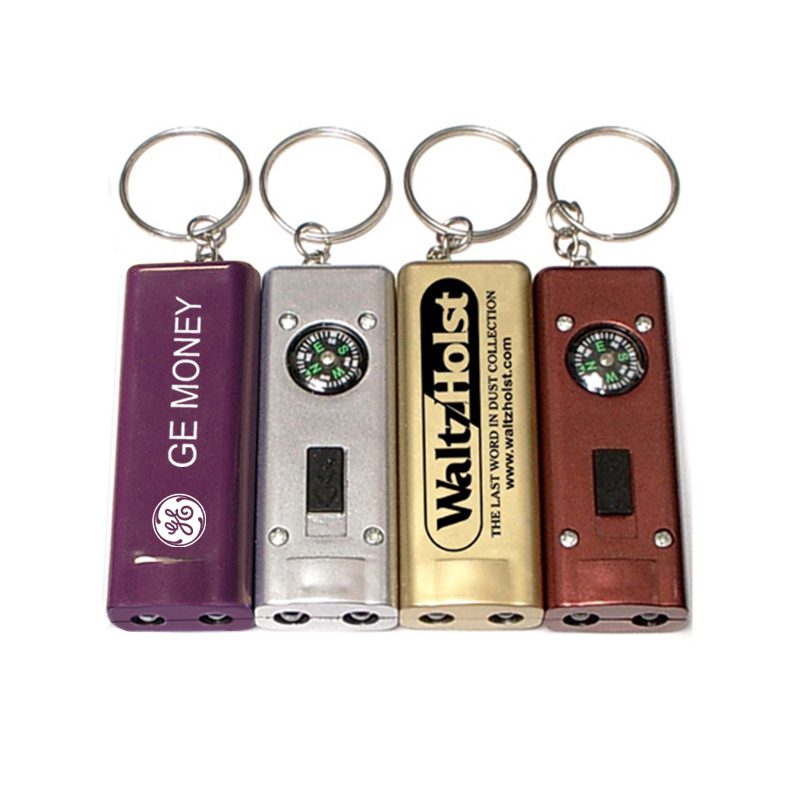 Versatile and gender neutral, keychain flashlights can be used to reach out to diverse audience with different needs and tastes. Popular among all age groups, these logo items will never get shunned in your marketing events and are competent enough to cut through the promotional clutter. Here are some interesting models that you will love to make your marketing swag. Glow in the Dark LED Flashlight Keychains: Anything that glows in the dark will instantly grab the attention of everyone around. 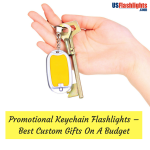 Your brand and message on these luminescent keychains will get a lot of attention for sure. 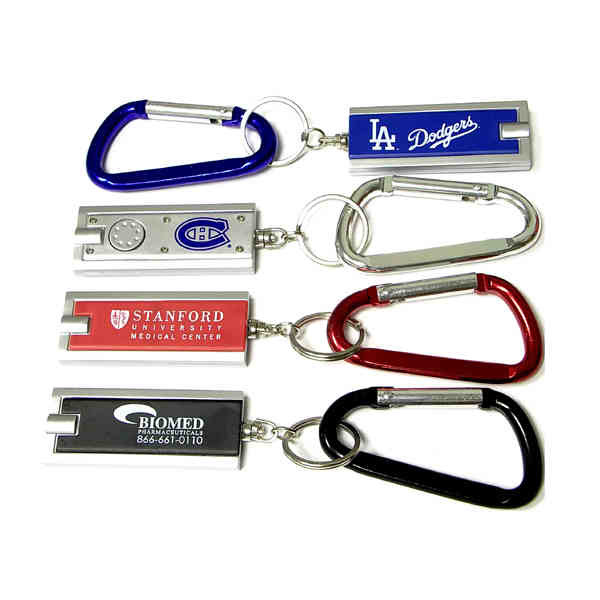 These long lasting Aluminum alloy keychains offered in two popular color combinations will light up your brand promotions literally. Solar Powered LED Light and Whistle Keychains: Businesses that wish to show their social commitment and ecofriendly credentials can place their bets on these solar powered LED light keychains with a safety whistle. Great as emergency kit items, these logo items will literally hand out your brand into the hands of your recipients. Mini LED Keychain Lights: Good things indeed come in small packs. This flashlight that can be easily tucked to pockets or belts will make an emergency light during total black out. 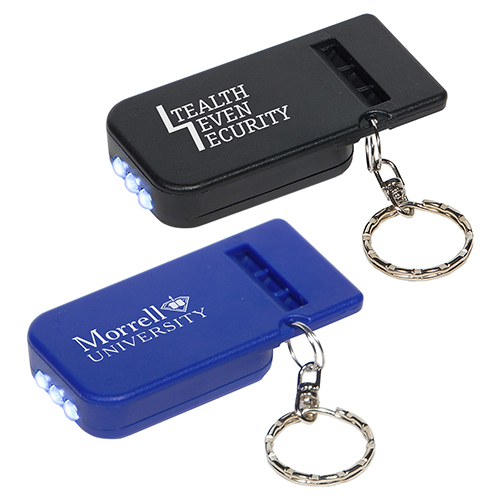 Soft-Touch LED Light and Alarm Keychains:These combo gift items that feature a LED light, keychains and an alarm will make a great safety item. Offered in bright blue color, these keychains will make a popular way to get your message well talked about. Pulling the key chain out of light will activate alarm while pushing the button will switch on the light. Put your brand on to make it a flashing billboard for your message. 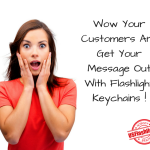 Have you used flashlight keychains as your marketing swag before? If yes, do share your experiences at the comments section below.